Mark is a part-time Masters in Osteopathy (M.Ost) student at the UCO. Due to working within a multidisciplinary team consisting of sports exercise medicine trained doctors and physiotherapists it was evident that I had a lot more to give. However, I lacked the requisite skill-set and knowledge. The part-time M.Ost course allowed me to continue working in elite sport and develop on a professional and personal level. The opportunity of studying on a part-time basis was a deal breaker. If the only option was a full-time course framework, I fear I wouldn’t have even considered re-training as a viable option. The student clinic and the clinical reasoning process would be one of my favourite aspects. During the final two years of the course you begin to consolidate your knowledge, try to perfect technique skills and aim to deliver a patient centered approach. Initially it feels like you are spinning a lot of plates, however with experience and guidance from clinic tutors this process becomes easier over the time spent at the UCO Clinic. I’ve always felt the atmosphere is supportive and encouraging, it has never felt an overly pressured environment which has most definitely helped with my learning experience. London’s accessibility makes it an easy option for getting to and from the UCO. The food and drink options local to both UCO buildings are also of a high standard. 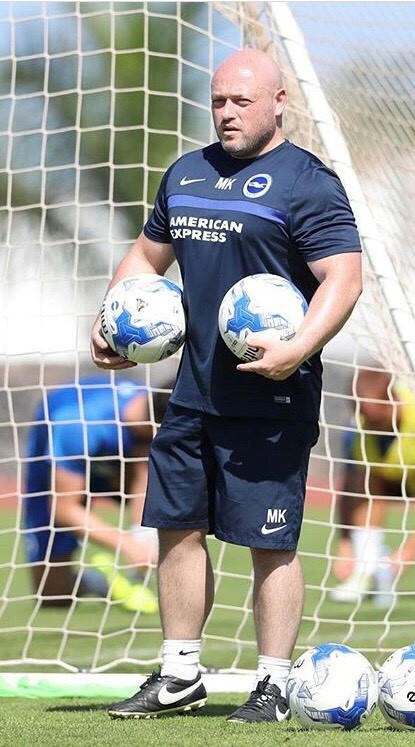 To continue working in an elite sport environment and as such from July 2019, I will start my employment as the Club Osteopath for Brighton & Hove Albion Football Club. In addition to this, my aim will be to see patients outside of the sports setting. I feel the UCO journey has too many components to mention, however one that shouldn’t be overlooked is the high standard of tutors the course provides. This is not only inspirational but also shows a huge difference of outlooks and thought processes between different tutors. This motivates you to investigate and reflect on patient presentations.